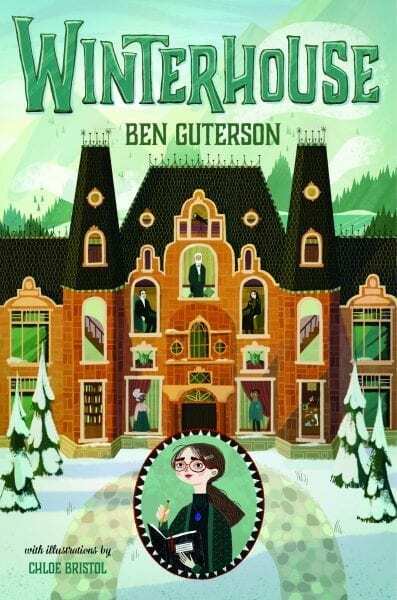 Joining us for Creative Spaces is debut author Ben Guterson. His middle-grade mystery, Winterhouse, is wonderful. 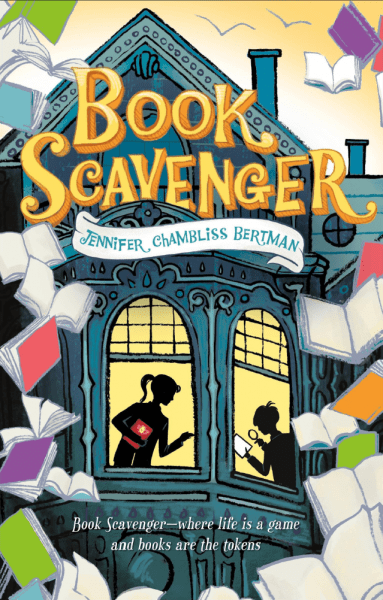 I highly recommend it to fans of Book Scavenger, especially if you’re also a fan of books like The Golden Compass or the Harry Potter series. I’m not the only one who adored this book either–independent booksellers selected it for their Indie Next list for Winter 2017-2018! 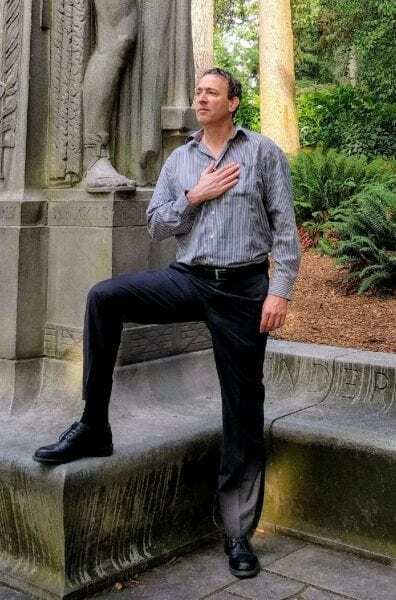 To learn more about Ben, visit his website or follow him on Twitter. My workspace is my older daughter’s semi-converted bedroom. For some reason, about half the room is still full of her furniture and boxes (she moved out years ago), so I have a desk against one wall, and two bookshelves nearby. Not very exciting, but I discovered long ago that I can work almost anywhere–just very lucky now to actually have my own “den”! Wake up around 6:00. Have breakfast and read till about 8:00. Write from about 8:00 till 11:00. Have lunch, look at email or news, nap, take a walk or try to do something physical, read some more, have dinner, all from about 11:00 in the morning through 7:00 in the evening. Write again from 7:00 till 10:00. Sounds kind of dull, now that I write it down! 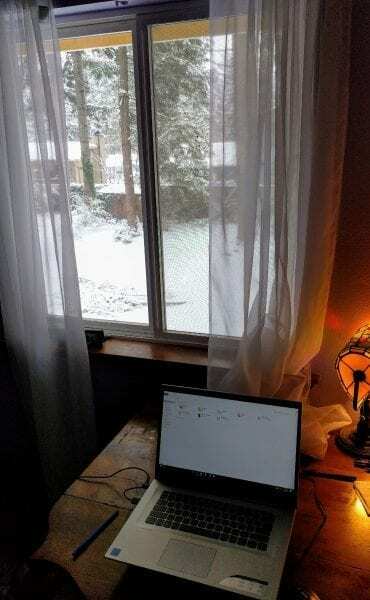 Basically, I try to write six hours a day, seven days a week, almost every week when I am in the middle of working on a book–very fortunate to have this sort of schedule. Oh, gosh, not sure how to come up with three things here–really, my one favorite aspect of my workspace is that I sit before a window that looks out at almost total greenery. I live in a heavily forested area, and right outside my window are several Douglas fir trees and then a few foothills in the distance. It’s a lovely view, very peaceful at all seasons. None. Unless “Typing on a keyboard” counts as a ritual? I doubt it. The sound of silence. Not the song–actual silence. I’m lucky to live in a very quiet area. I don’t need absolute silence to work, but I do find I get distracted if there are too many loud or random noises, so it’s great that I don’t have to worry about disturbances most of the time, even when my window is open. Tea. And more tea. I don’t eat while I write, but I do like to drink tea. The writing itself. I don’t find myself getting distracted or unfocused while I write, generally. Computer only. Sometimes I take notes or jot down ideas in a little journal, but I do all my composing on my laptop. I usually get an idea–a setting, perhaps, or a character or a moment of action–that will become fixed in my thoughts and then expand and deepen for months or even years; and then, if my interest doesn’t fade, I slowly accumulate notes as I think and think about the possibilities in my initial inspiration. After a while, I might have ten or twenty pages of notes, so then I’ll start thinking about how to corral them into a rough story and see if things come together. A little synopsis might be in order at that point, and if I still feel enthusiastic about the potential, I’ll hammer my notes into some sort of order (lists of characters, settings, plot elements, and so on) and try to get things into some coherent scheme. At that point, I can attempt an outline, which is something I like to do by way of charting a clear course for drafting. I’m not beholden to the outline, but it gives me a rough roadmap even as I experiment within the parameters I’ve defined. One thing I recognize now is that I spent a number of years trying to use systems or techniques that other writers had devised and recommended…and they never worked for me. It wasn’t until I came up with my own method that the process felt natural and efficient. The only possible answer I can give here is: My wife. Happily, I should add. Be sure to note that: Happily. Seriously, my wife has been my biggest supporter, and any person would be glad to have someone in their corner who is so helpful and steadfast. Hmm, not totally sure. I do know that when I was about 19 I read The Art of Fiction by John Gardner, and that book has remained the single most important piece of writing advice–albeit, stretched across scores of pages–I’ve ever encountered. I also recall a teacher I had in college, Lois Hudson, reminding the students in her creative writing class that each passage should “do two things,” and I think there’s a lot of wisdom there–how to make certain there’s a level of depth and interest and resonance on every page and, really, in each sentence, that make the parts come together organically and meaningfully within the bigger picture. 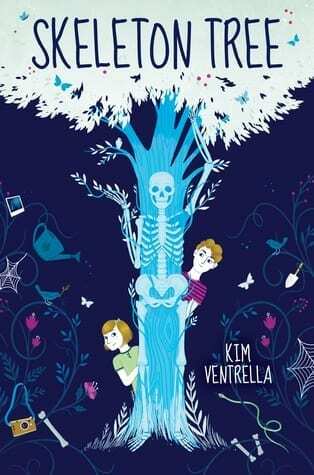 Kim Ventrella is a children’s librarian, and a lover of weird, whimsical stories of all kinds. She lives in Oklahoma City. Skeleton Tree is her debut novel. 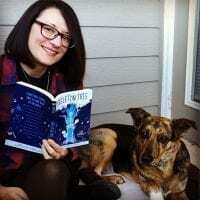 I wrote Skeleton Tree sitting cross-legged in a dog bed, while my dog, Hera, sat on the couch looking over my shoulder. It’s true! And it was really effective. 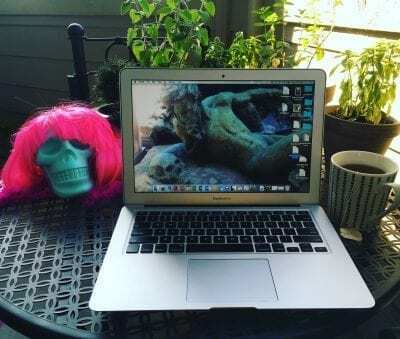 After I sold Skeleton Tree, I graduated to an official, squishy office chair, and I have since evolved to mostly writing outside. There’s something about the fresh air and openness that really helps along the creative process. I also work full-time as the Children’s Department Manager at a public library, so depending on my schedule, I get up early and walk my dog. 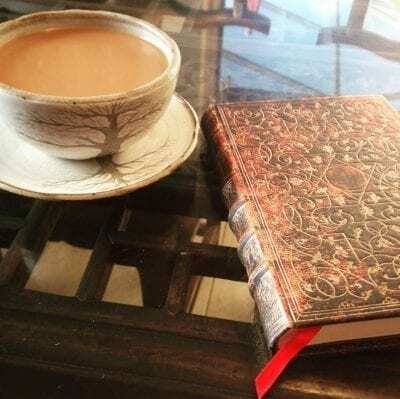 Then it’s time for tea or coffee, watering the plants and settling into my writing space. 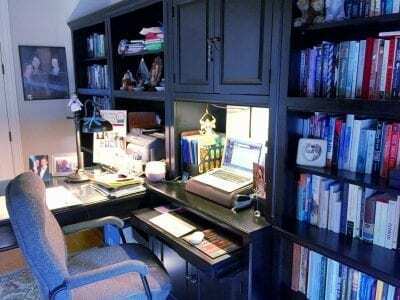 I’ll go to work at the library next, and then come home and start writing again after dinner. If I’m lucky I squeeze in some reading before bed. My dog, Hera, is the most important part of any workspace. She’s such a kind, non-judgmental soul. Next on my list, a nice breeze. It kindles my thoughts and helps me feel connected to something bigger. Finally, tea or coffee, that is a must. Not really. I always need either tea or coffee, even if it just hangs out collecting gnats and dog hair. I like to write in ‘blackout’ mode to minimize distractions, and I always set a word count goal for myself when I’m actively working on a project and not just tinkering. Usually 1500 or 2000 words. Nothing when I’m outside, just the normal ambient sounds. Inside, various classical playlists. Apart from tea and coffee, mostly dark chocolate or Annie’s Bunny Grahams. I like having a specific word count or scene-specific goal in mind. That way I know when I can give myself permission to stop working. On the computer, I am way too slow at longhand. I always thought of myself as a pantser, until I had real deadlines (i.e. ones that were not self-imposed). Now, I do try to outline ahead of time to make sure I have a strong enough character arc and plot. Besides my dog? No, what am I saying, it has to be my dog. She’s the best writing partner ever! There’s this great TED Talk from author Brené Brown called “Why Your Critics Aren’t The Ones Who Count.” I love it! Basically, she says there will always be critics, and that’s okay, it’s part of the process, but don’t ever let them stop you from creating. I think that’s important advice for any writer or creative person. After all, the truly terrifying thing isn’t the critics, it’s living your whole life without daring to pursue your dreams. 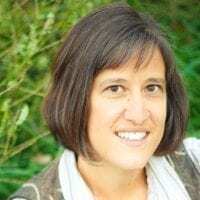 To learn more about Kim Ventrella visit her website, find her on Facebook, or follow her on Twitter. 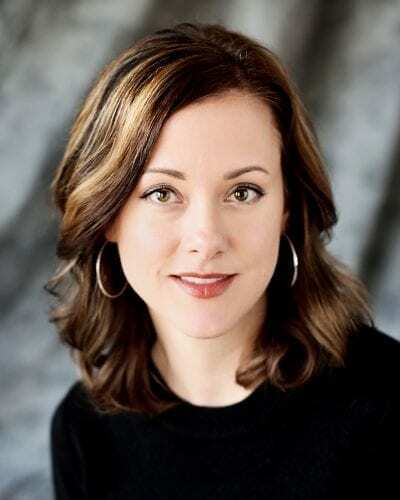 I originally interviewed Jeannie Mobley for Creative Spaces when her debut middle grade Katerina’s Wish was published. Katerina’s Wish received starred reviews, was named to many state and national reading lists, and received the Colorado Book Award. Let’s catch up with Jeannie and hear what all has kept her busy since her last visit . 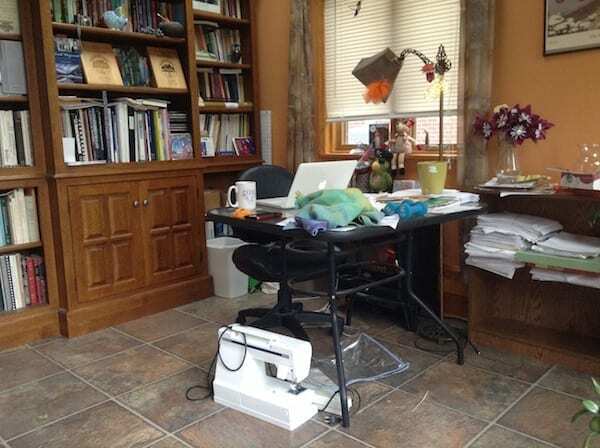 . .
What fun to be back on the Creative Spaces blog! Thanks for having me, Jenn! I went back into your archives to see what I said when I was first featured. Turns out I am writing this almost five years to the day from when my original post appeared. So many things have changed in my life in those five years—my nest has emptied, I’ve taken up two crazy new hobbies (loom weaving and swing dancing), other books have been published, and a substantial number of my hairs have turned gray. This summer has been full of change, as our daughter married and we lost two sweet members of our aging menagerie of pets. Change seems to be the bittersweet theme of life these days. But let’s talk about writing. What have you been working on since Katerina’s Wish? It was interesting to reread the post from five years ago and see that I mention researching a book set in New Orleans in the 1920s. 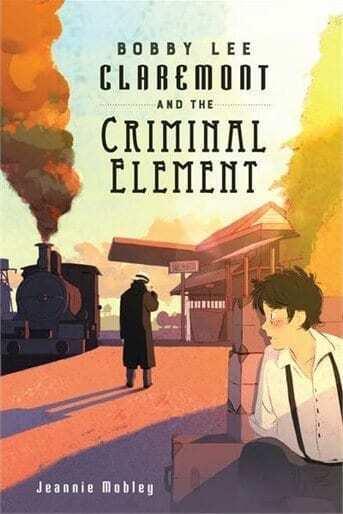 That book, Bobby Lee Claremont and the Criminal Element came out in September from Holiday House Publishing. 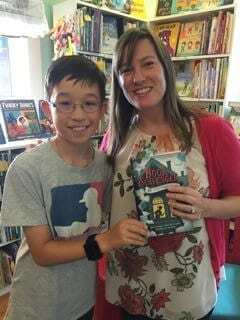 It is the story of Bobby Lee, a twelve-year-old orphan in 1923, leaving New Orleans for Chicago where he hopes to get into business with the gangsters who are making a killing off of prohibition. But when he discovers the train is carrying the coffin of a jazz-club owner, and the widow and associates of the dead man, he begins to see that there’s more killing going on than he bargained for. And his unexpected desire to protect the widow and her infant son draws him into an increasingly dangerous mystery. I haven’t been working on that one book continually for the last five years. Not long after my last appearance on this blog, my second book, Searching for Silverheels, was acquired, so Bobby Lee was set aside. After Silverheels was published in 2014, a variety of “next book” strategies were discussed that had Bobby Lee back on and off the table several times before it finally got a green light in the summer of 2016. 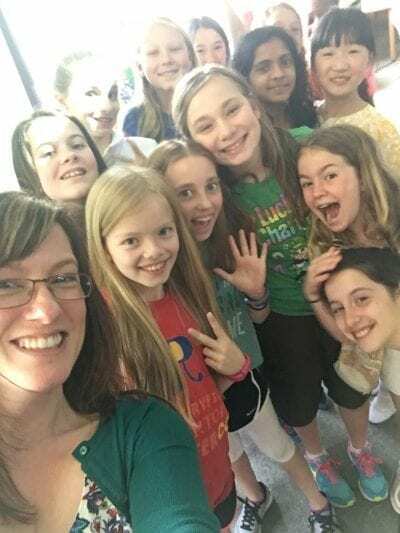 Other projects that I am excited about include another middle grade story and two historical novels aimed for the adult market, which is a departure with a surprisingly steep learning curve. I’m not sure where I currently am on that learning curve, but I am learning a lot, and that always feels good. Have your work habits/routines changed since then? Part of this clutter is the inevitable change in the writing life post-debut. 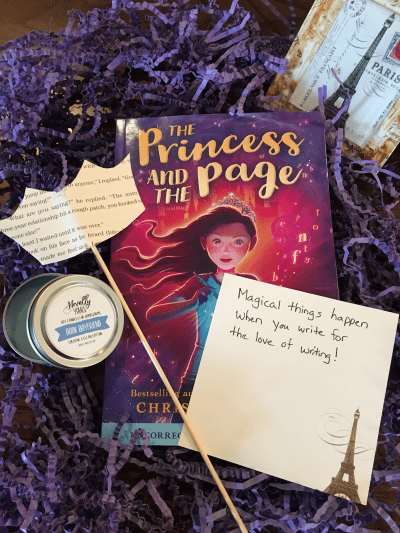 Now there are always multiple projects going on—the new idea I’m developing, the one I’m polishing to send to agent or editor, the book under contract I’m revising, and of course, the ones out in the world I’m still promoting with blog posts, interviews, and appearances. Hence the multiple piles, each belonging to a different project. This summer, to add to the clutter, wedding projects moved into my sunroom and crept into my writing space. Clutter still distracts me, but I’ve become better at rolling with the punches. 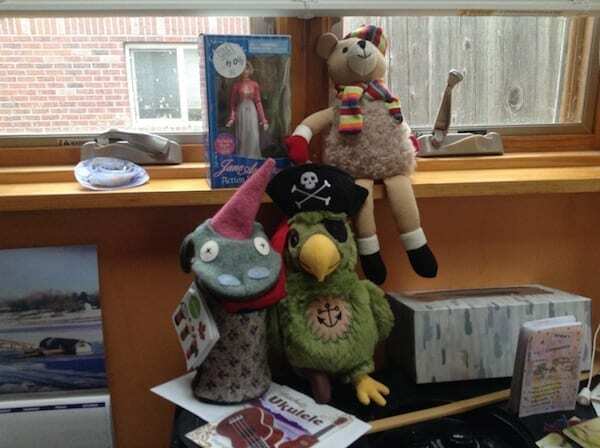 The clutter here, which includes a project I wove for my daughter and her husband, flowers and lighted decorations left over from the wedding, and silly gifts given to me by people I love, is all stuff that grounds me. Now that my kids have moved out and life isn’t full of their constant activities (and stuff), a little material chaos of my own isn’t so bad. I’m not as fussy about my tools anymore either. I write with whatever tool (pen or computer) is on hand, although I still love my favorite writing pens. I’ve expanded from two to four favorite writing mugs (always keep growing, that’s my motto! ), and I’ve acquired a crew of new helpmates. Any newfound wisdom to share? This can be a hard, crazy business. Don’t let it make you hard and crazy. And try to limit your needy Human Society pets to four or under. To learn more about Jeannie Mobley and her work, visit her website. 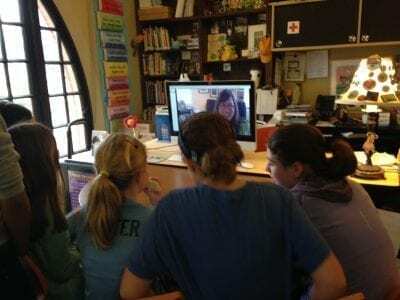 I originally interviewed Tara Dairman for Creative Spaces when the third and final (sob!) in the All Four Stars trilogy was published. Wait–I just realized that was only a little over a year ago. Boy, a lot can happen in a year because things have changed quite a bit for her! I’m thrilled to check back in with her today. What have you been working on since Stars So Sweet? My new middle grade novel, The Great Hibernation, comes out from Wendy Lamb Books/Random House on September 12. It’s my first standalone novel and a complete departure from the All Four Stars foodie series! It’s also my first book with a new publisher (sadly, my editor for the Stars books has left publishing). A lot has changed, actually, because my family and I relocated 1000 miles earlier this year to Austin, TX. So my routine got put on hold while we found a place to live and figured out things like childcare schedules. 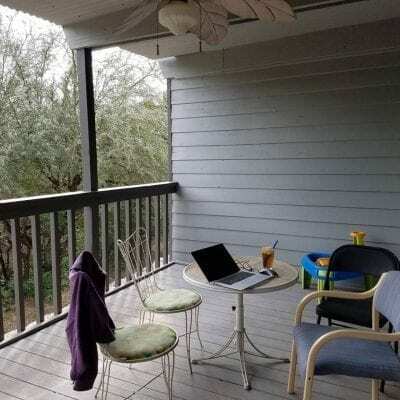 Eventually, though, I did get back to writing–when the heat allows, I love to work on our new back porch! My toddler is in preschool three days a week, so I usually write on those mornings. 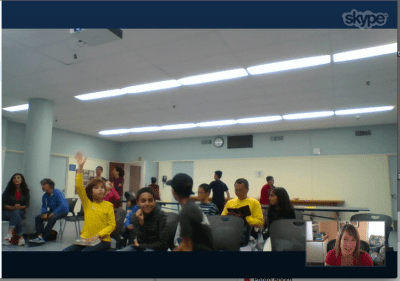 I take a break to do some yoga and eat lunch, and then deal with “businessy” stuff in the afternoon, like e-mails, responding to Skype and school visit requests, setting up book tour events, etc. Be kind to yourself. There will always be people who insist that you have to write every day, and it’s great to write every day if you can manage it (you’ll certainly produce books a lot faster!). But sometimes big life changes, health issues, etc. will get in the way of your creativity and/or disrupt your routine. I’m trying to be better at not guilting myself when life shifts necessitate that I slow down with my work–and appreciate the privilege of being able to take a breather when I need one. To learn more about Tara Dairman, visit her website or follow her on Twitter, Facebook, or Instagram. 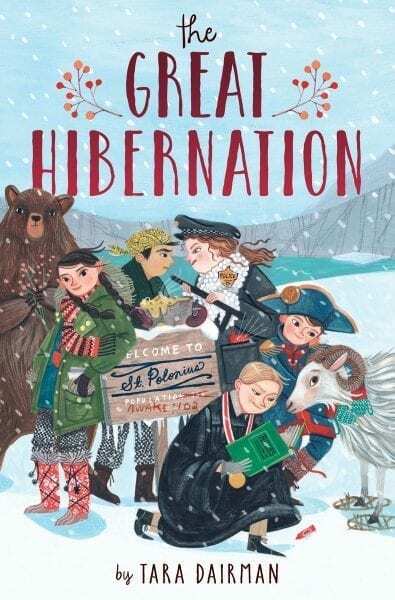 Her latest book The Great Hibernation was published this week and is now available for sale everywhere! And the winner is . . . SHANNON CULP! 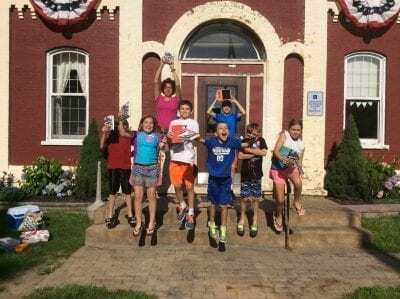 So many teachers and librarians have shared with me how much they enjoy using Book Scavenger in their classroom and with students, and now my publisher has created a fantastic Common-Core aligned Teachers Guide for both Book Scavenger and The Unbreakable Code, available as a free PDF download on my author website, the Book Scavenger website, or my publisher’s website. 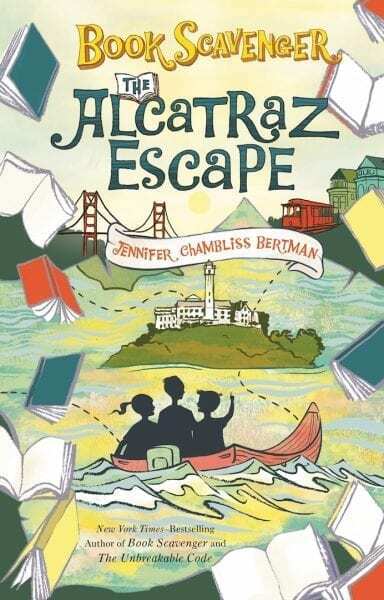 To celebrate, I’m giving away a class set of signed Book Scavenger paperbacks (exact amount TBD based on winning classroom size) along with a hardback of Book Scavenger and The Unbreakable Code for your school library or teacher’s classroom. 3. Email me at fromthemixedupfiles@gmail.com with “Class Set Giveaway” as your subject. 4. “Like” my Facebook Author Page and comment on the giveaway thread. Entries accepted through September 14. Because of shipping costs, only US entries are eligible for this giveaway. I’ll announce the randomly selected winner on September 15 via Twitter and on this blog. 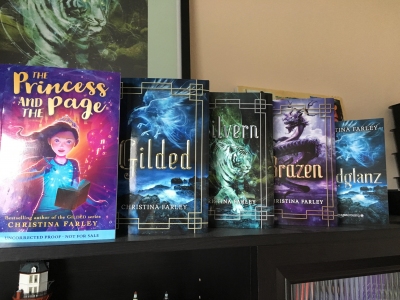 Christina Farley is the author of Gilded, Silvern, and Brazen, a YA series based on Korean mythology. 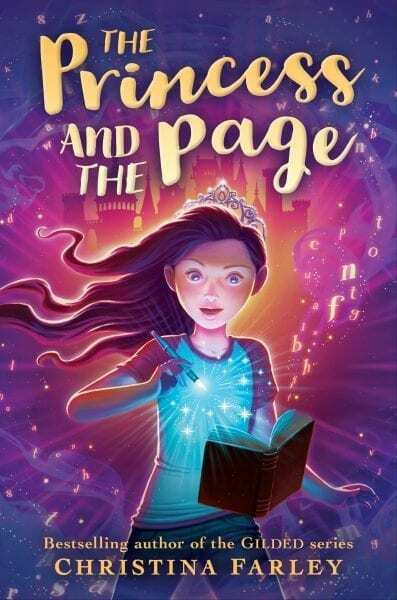 Her latest novel is the middle grade fantasy The Princess and the Page. 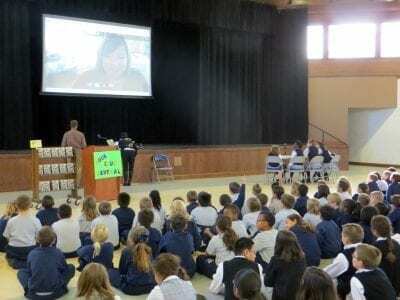 She taught and traveled internationally for ten years before becoming a writer. To learn more about her visit her website or follow her on Twitter or Instagram. 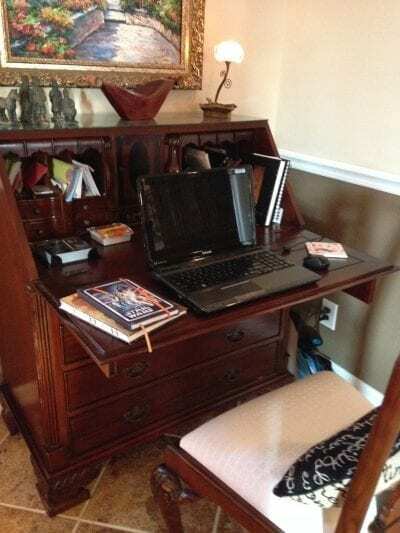 I have my cute desk where I can write at, but often I find myself writing wherever I am. So it could be on the sidelines of the soccer pitch, my car, library, backyard, or coffee shop. My motto is write when you can. It doesn’t have to be the perfect spot. I give myself a daily word count goal if I’m drafting. If I’m revising, I give myself a pages finished goal. I’m fairly strict about hitting that goal, but then I also have learned to give myself manageable goals. Usually 2,000 words a day. For writing, I like to hit it hard first thing while my mind is fresh. So usually I’ll write until I’m mentally exhausted or hit a roadblock. Then I’ll go for my morning run which really helps inspire me with road blocks. A big chuck on my writing is actually done in the evening while I’m sitting in the car during soccer practice. It’s a love/hate thing. I love it because I always get lots of writing done. I hate it because I’m stuck in the car with no internet and nothing else to do but write. 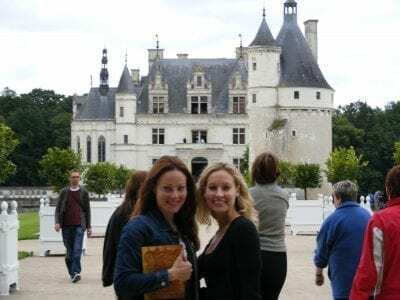 A picture of my sister and I in France. She is my muse. 2. 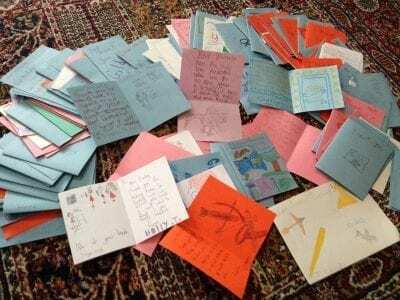 The letters from students about my books. 3. My published books because they remind me that I’m not a complete hack! I love to light a candle that signifies my mood. 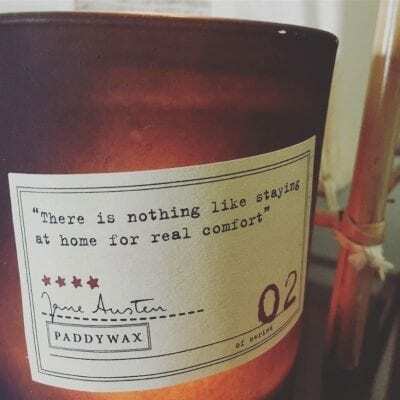 A friend gave me a Jane Austen Paddywax candle which I’m obsessed with. I love to listen to music while I write. When I’m drafting, I play on my iPod the playlist that I create specifically for the book I’m working on. Usually it’s instrumental like a movie soundtrack. It really helps block out noise at home, but more importantly draws me into the world that I’m creating. Peppermint patties and coffee. I love using a mug that symbolizes my mood too! I suppose pure determination. I also like to hang quotes that are meaningful to me as I work on a project. I keep a journal with all of my notes and ideas. Every book gets its own notebook. Then I type my drafts onto the computer. I like to storyboard my ideas and then once I have a clear vision for the story, I place it into a plotting chart like this one. Then I write it! 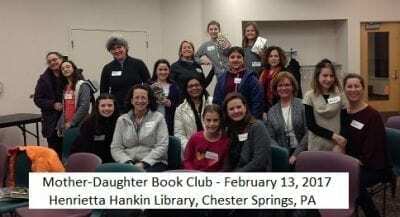 My fellow YA Chicks! We do a lot of writing together. Write because you love to write. 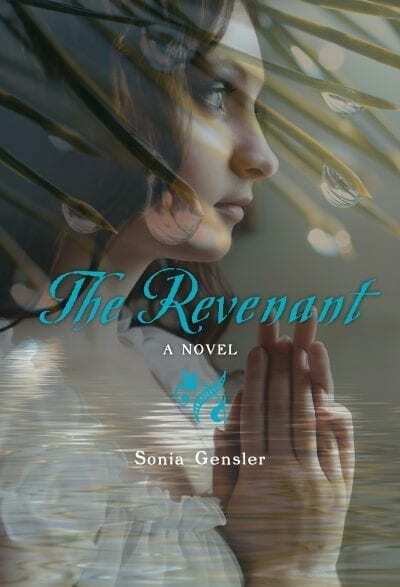 Sonia Gensler is the award-winning author of Ghostlight, a contemporary middle grade novel, as well as The Dark Between and The Revenant, both young adult historical novels. 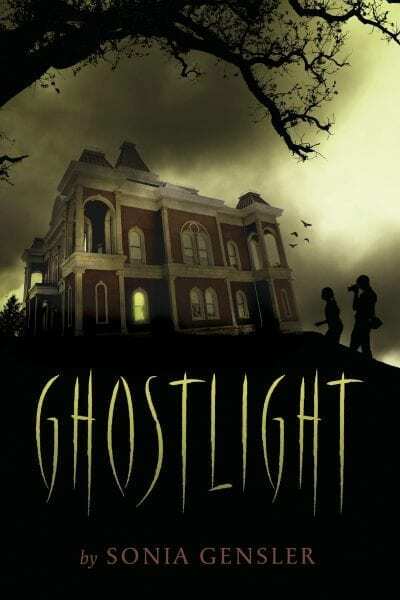 She is obsessed with Gothic horror and loves to write ghostly mysteries. 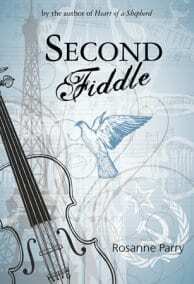 Sonia grew up in a small Tennessee town and ran with a dangerous pack of band and drama geeks. 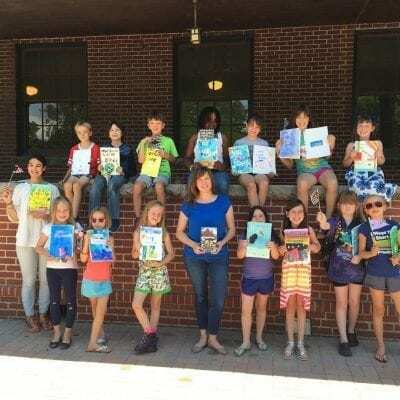 As an adult she experimented with a variety of impractical professions—museum interpreter, historic home director, bookseller, and perpetual graduate student—before finally deciding to share her passion for stories through teaching. 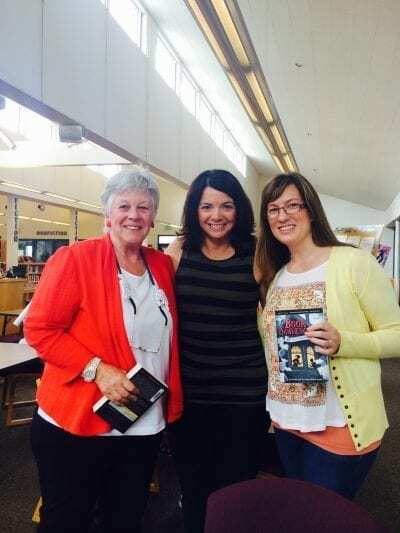 She taught literature and writing to young adults for ten years and still thinks fondly of her days in the classroom. Sonia currently lives in Oklahoma with her husband and cat. 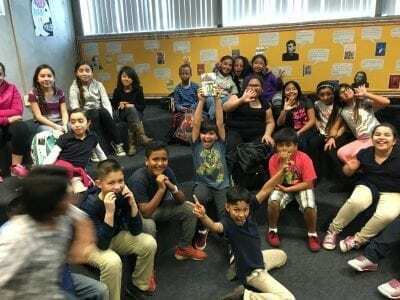 To learn more about Sonia and her books, visit her website, or follow her on Twitter or Facebook. It was a long time coming, but I finally have a home office with several bookcases. I write best with my reference books and favorite novels near to hand. 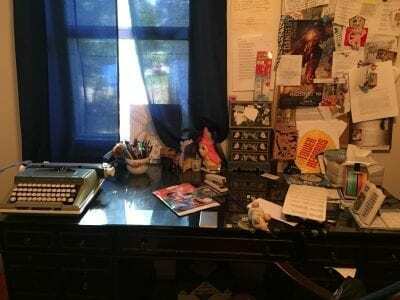 My workspace is usually untidy, particularly when I’m in the middle of a project—papers and books all over the place, cups of cold tea, bills and random bits of mail, and at least two pairs of shoes under the desk. Every other week I try to tidy up, which often means shoving things in the closet. Once a year or so I have to tackle that closet—always an ordeal! If I’m in the drafting phase, I procrastinate. There’s lots of staring and heavy sighing, if not actual swearing. I take frequent TV breaks. To be honest, I am more efficient with drafting when I leave my house entirely. I go to a coffee shop and encourage myself to feel publicly shamed into being productive (even though no one around me actually gives a hoot). If I’m researching or revising, I sit at my own desk and work until my thighs go numb or it’s time for food. 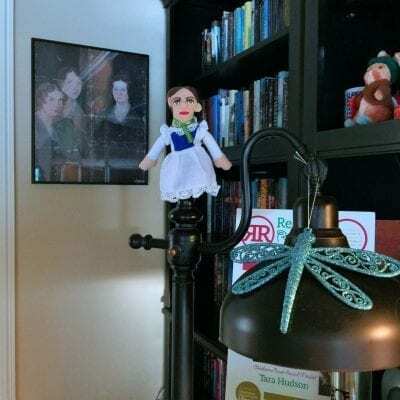 Three symbolic items that inspire me: 1) my framed poster of the Brontë sisters, purchased at the Brontë Parsonage Museum (which makes it somewhat of a holy relic to me), 2) My Emily Dickinson finger puppet (doesn’t she look as though she’s floating? ), and 3) My dragonfly ornament that brings to mind my writing group and our times spent on retreat at Lake Tenkiller in NE Oklahoma. I love being surrounding by symbols of passionate female creativity! The only ritual I can think of is making a cup of tea. For a while I tried to do a quick meditation before starting work (there’s an app for that! ), but this never developed into a habit. I love the notion of rituals, and I think I need to further explore the possibilities. I make a playlist for each book that I write (ooh, a ritual! ), and listening to that always helps me focus. 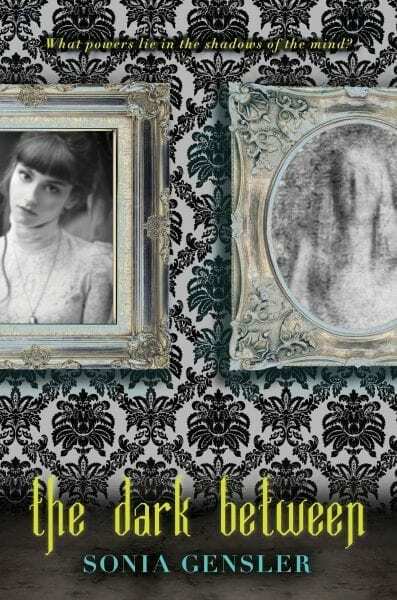 For my most recent manuscript, a Victorian Gothic thriller, I chose songs from the soundtracks for Penny Dreadful and the most recent Far From the Madding Crowd adaptation, along with instrumental songs from various Olafur Arnalds albums. TEA. Always and forever. I might sip tea all day, but I try to hold off on snacks until my official afternoon tea break—usually around 3pm—when I give the cat his wet food and then watch a bit of TV with tea and a cookie, or something like that. I can stay pretty focused when researching or revising, but it’s a constant struggle when drafting. To get actual pages written, I have to set a daily word count goal, bribe myself with chocolate, use the Freedom app, and/or apply any other sorcery I can find. When I’m in the research phase, I take longhand notes in a journal chosen for that project. I always feel inspired by Paperblanks journals. When drafting, I type on the computer. However, when I’m feeling especially blocked with a scene it often helps to write it out longhand. Usually, the process starts with my fascination for a particular place and time. Once I have a vague idea of a conflict, I begin reading research materials and taking notes. 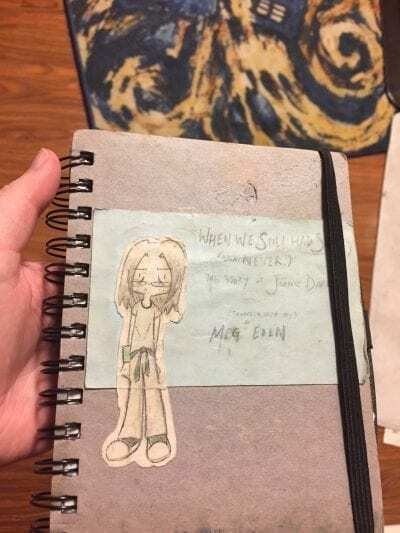 More specific character and plot ideas come to me during this process, and in my research notes you’ll find facts from books written in one color, and story/character ideas in another color. (Or sometimes I write story notes on stickies, as in the photo above.) Once I have a better sense of what I’m writing about, I start outlining. Recently I found inspiration from Libbie Hawker’s Take Off Your Pants! 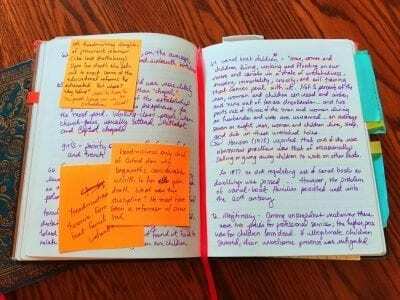 : Outline Your Books for Faster, Better Writing.Full disclosure: I have a fetish for books on outlining. I already share it with my cat, Cedric. 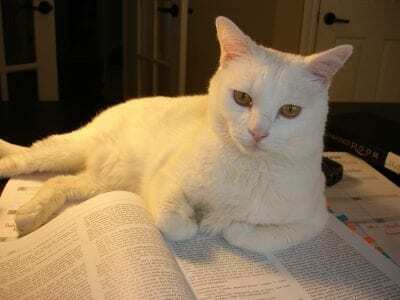 He usually prefers to sit in my lap as I type, but sometimes he valiantly holds down my research materials. 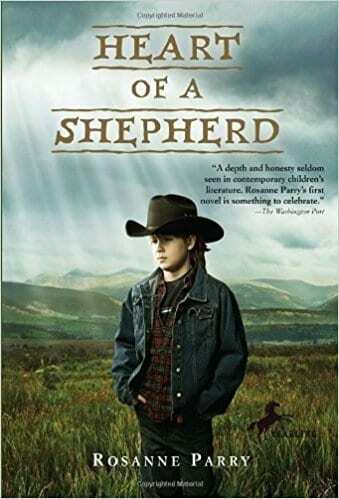 Something that helped me think more deeply about my characters came from Cheryl Klein of Arthur A. Levine Books. In a workshop about character she suggested that we should think not only about what our characters want, but also what they need. The want, or desire line, is what throws a character into the external conflict, but the need—which isn’t even a conscious thought at the opening of the story—is what will help her change and grow so that she can achieve her true desire. 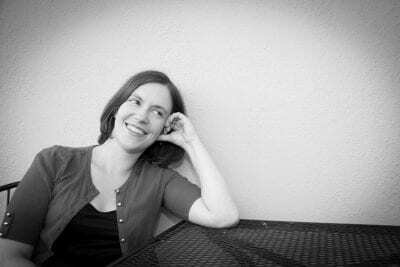 Meg Eden’s work has been published in various magazines, including Rattle, Drunken Boat, Poet Lore, and Gargoyle. She teaches at the University of Maryland. 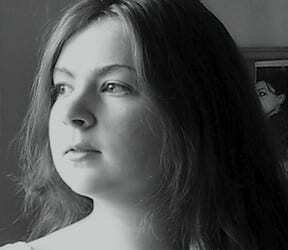 She has four poetry chapbooks, and her novel Post-High School Reality Quest was recently published from California Coldblood, an imprint of Rare Bird Lit. Learn more about Meg Eden by visiting her website or following her on Twitter or Facebook. 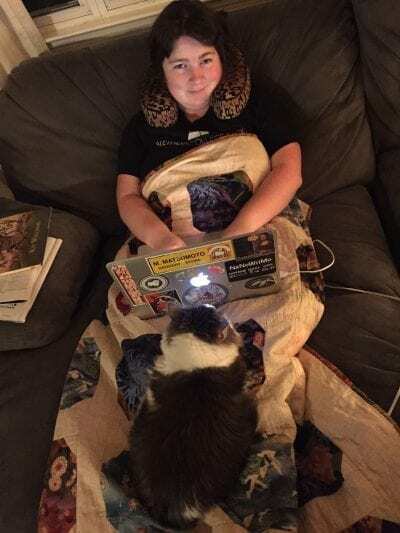 I’m a creative writing instructor by occupation, so I typically start the day making sure I’ve done all my duties for teaching (reading student work, doing lesson plans) and use the evening for writing. I dedicate Thursday, Friday, and Sunday as mainly writing days. I’m trying to do that more as I return to writing novels again, which are a really heavy time investment. I have to have a mug of Chick-Fil-A tea with me when I write. I’ve learned even a little caffeine goes a long way for me. At my actual desk–the romanticized ideal of my workspace–I have encouraging rejection letters pinned to my bulletin board. 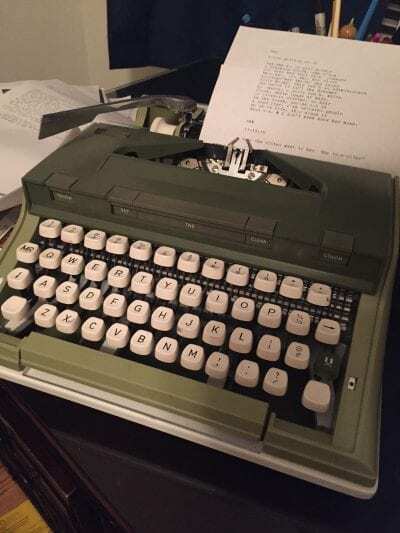 I also have a typewriter, which I’ve started using for typing poems when I need to get away from a computer screen. I usually have to have tea when I write. I have a music album or playlist to help me get into whatever project I’m working on–so I start that up, check email/Facebook/whatever through the first song, then proceed to write. When the album ends, it’s a signal for me to take a break. I apologize for this literally being the third time I’ve brought this up, but seriously–Chick-Fil-A unsweet tea is the best thing ever. 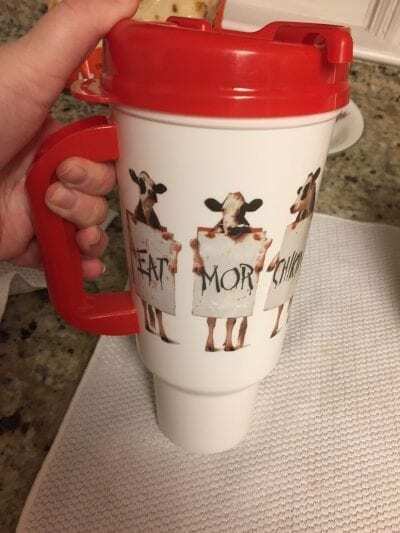 I have a refill mug from them that I pay 50 cents for unlimited tea–it’s great! I’m known as “that writer who lives at Chick-Fil-A” at this point. I also live off Ghirardelli squares, and Harvest Snaps snapea crisps. A moment that fascinates me. Something bizarre. Something I need to solve, a puzzle. If I’m bored, I can’t write. I have to find something that excites me to write about. If I’m feeling stumped, I do some googling research. I try to find an image that fascinates me. Also, I find that goals help me: deadlines for contests, breaks in the academic year where I know that’ll be my only time to really make progress–those help me focus too. I can’t do any prep work or I get bored–I have to wing it. 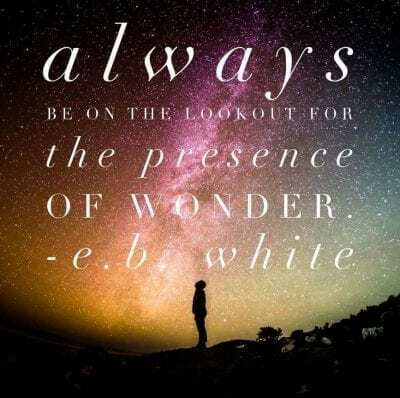 I have to discover it as it happens. I sometimes do some vague outlining. I really love using headers and table of contents in Microsoft Word, so I can get a visual sense of the structure of my novel, and jump between scenes. On my current novel project, a mixed media YA retelling of an abusive relationship, where there are so many different objects and texts and things, this has been particularly necessary. This question is hard! I grew up an only child so the first few times I read this I cringed: Ugh! Sharing! But seriously, if I could share it with pretty much any other writer, I’d be stoked. 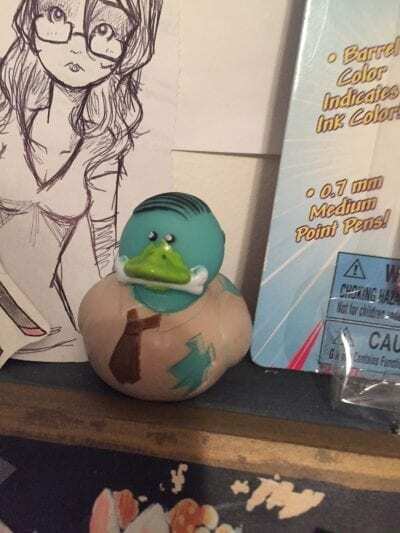 I’ve found that some “rubber duck debugging” (as in, talking out a problem to find the solution) has become a really important part of my writing process. Write first, edit only after you’ve finished a draft. This current novel project has been really emotionally challenging for me, and I’ve wanted to give up/edit everything/throw my computer in a fire, but I know nothing will happen if I never get to an end of the draft. So I keep writing. I originally interviewed Rosanne Parry in 2011 for Creative Spaces when she gave us a peek into her treehouse workspace. (So cool!) 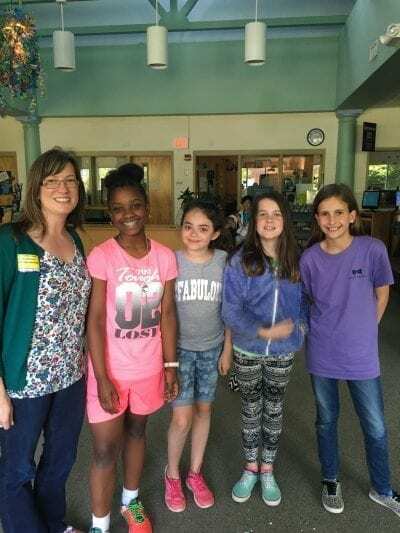 Her most recent book is the middle-grade novel The Turn of the Tide, which received starred reviews and was chosen as an Oregon Battle of the Books title for the 2017-2018 school year. 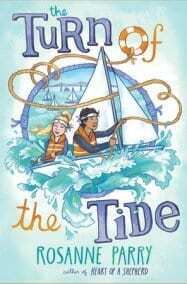 The Turn of the Tide was released in paperback earlier this year, and guess what? 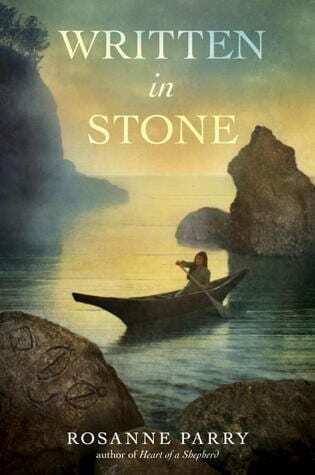 I’m giving away one copy of The Turn of the Tide bundled with Rosanne’s debut novel, Heart of a Shepherd. Directions for how to enter the giveaway can be found at the end of this post. 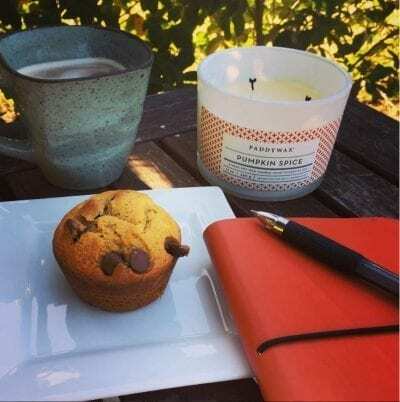 Today Rosanne is joining us to share great advice on creating a workspace for yourself on the go, something I’m sure many of us are struggling to manage and embrace during the summer months ahead. 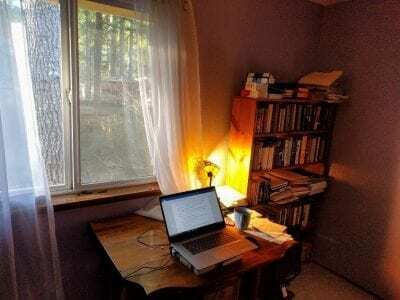 Six years ago Jennifer was kind enough to feature my treehouse workspace on her blog. In the years since I have grown from one published novel to four. Six years ago my oldest daughter was starting college and now the youngest of my four children has finished her senior year. I’ve taken a part-time job at a local indie bookstore and have gone back to teaching but this time in a graduate program at Portland State University. 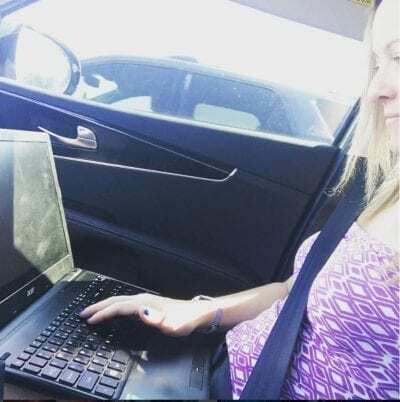 But one thing has remained constant, the need to find a place to work on the go. 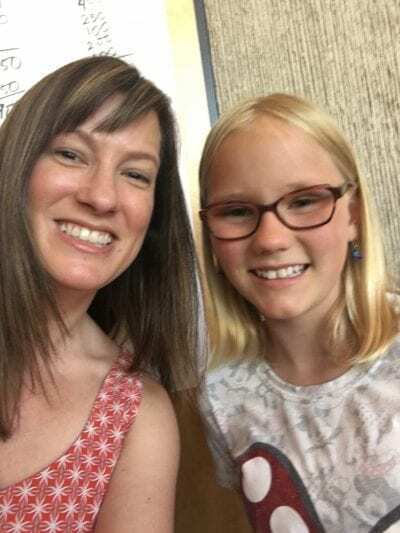 When my kids were younger and I was driving them to after-school activities I brought my work along and found these strategies were the most helpful for getting things done in a waiting room or coffee shop. Headphones or ear buds are the most useful accessary by far. If you are sound sensitive, then noise canceling headphones are a must. Even if you don’t love music while you’re working, just putting in the ear buds sends the message that you are hard at work and not wishing to be interrupted which is a godsend when you have a deadline and are stuck working in a coffee shop where everybody who walks through the door knows you. 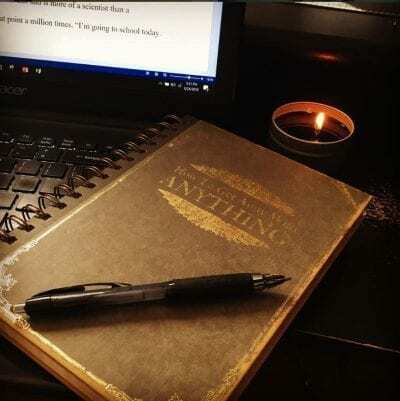 Either a portable laptop or tablet and key board or notebook and pen are all you really need to get most writing accomplished. One of the gifts of working on the go is that sketchy internet connections and the absence of your home library make it easier to focus. I’ve learned to flag my writing as I go for references I’ll need to check later and keep going which can make the work away from home office flow even faster. A cell phone stand is surprisingly useful. I have one that is sturdy enough to prop up a notebook if I’m transcribing notes from my journal. It can even hang over the top of my laptop if space is at a premium. It allows me to access reference photos, maps, and my dictionary app. I’ve learned to bring a lightweight scarf along in case there’s a drafty room in the winter or one with glacial air conditioning in the summer. Maybe this is just me getting older but a comfortable place to sit has become much more of a priority lately. Camp chairs vary widely in their comfy-ness so give it a test run before you get one. 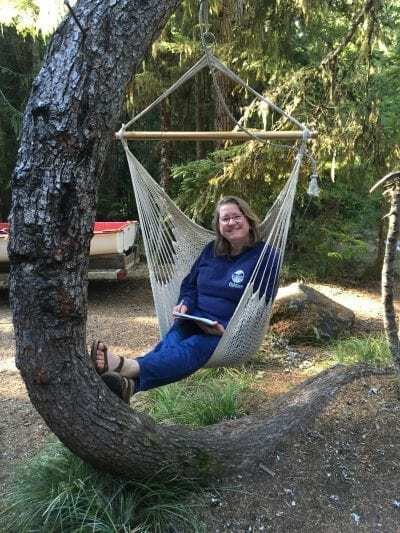 I am lucky enough to have a hammock chair which was the perfect solution. 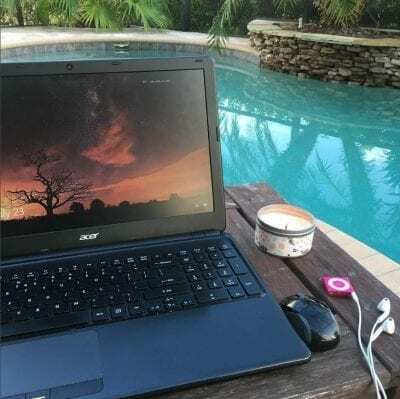 Glare on the page is also a big issue when working outdoors even when you’re not on a screen. I was elated to discover reading sunglasses and could not have gotten anything done on this trip without them. A lap desk, a firm cushion, or in a pinch, the stack of newspaper you are going to use to start the fire later, can be used as a writing surface. And since pens fail me twice as often as usual when I’m on the go, a pencil and a pocket knife keep the words coming. The woods can be distracting but less so if there’s sunscreen, bug spray, a scarf for those chilly mountain mornings, and a damp bandana for those scorching afternoons. But here’s maybe the best thing I learned on my camping trip. One of the most important things I do for my productivity is to know when to set the work down. On our last night on Mt. Hood I was all set to hang out fireside and finish my research—a collection of diaries written in Ireland 100-150 years ago, so captivating—but I got an urge to take one last canoe ride. So my husband and I set out on Trillium Lake. It was utterly still and eerily quiet. The moon hadn’t risen and there were thousands of stars. Stars so thick I couldn’t find my favorite constellations at first for all the extra stars I don’t usually see. The Milky Way arced across the eastern shoulder of the mountain. The Pliedies fell on us like rain, and every star and falling star was reflected in the water. We paddled around for almost an hour in the pitch dark and barely said a word. It was an absolutely ethereal journey and intimate in a way conversation could never be. 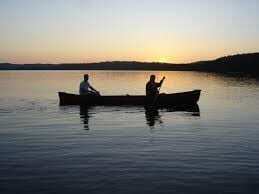 the awareness of life’s fragility I felt having taken a night paddle like this in 1975 on Spirit Lake in the shadow of Mt. St. Helens. 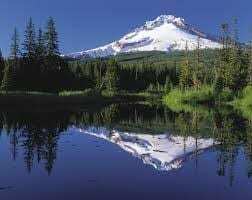 Five years later the mountain erupted and Spirit Lake and the entire forest surrounding it was gone in less than a minute. the love I feel for my family, the family I grew up in that taught me to appreciate the wilderness, the family I raised that has happily followed along on all our adventures and the families yet to come who I hope and pray will find joy in this same wilderness we are privileged to care for. I hope every character I ever write feels at least some of these things what ever their story circumstances may be, and in the end I think that was the most productive hour I spend of my entire week in the mountains. 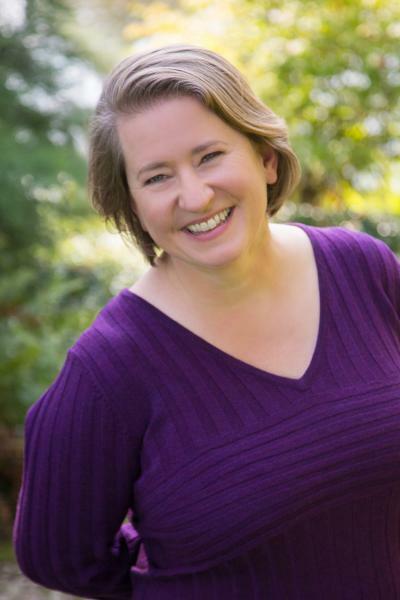 To learn more about Rosanne Parry and her books, visit her website. Today is the day! I can’t believe The Unbreakable Code is now officially out there in the world. 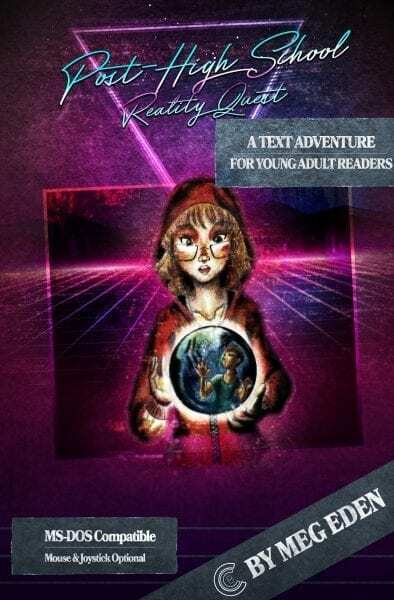 I started writing this book in earnest a couple months before Book Scavenger was published. My writing process for the two books was about as different as you can get. 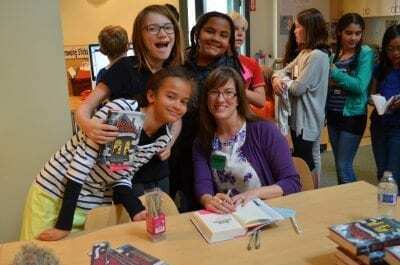 There were times I was so far outside my writing comfort zone, I didn’t know if I’d be able to pull it off, and then I’d meet Book Scavenger readers in person or via Skype, and it always left me reinvigorated, eager to return to the page, and determined to tell another good story for you. I’m really proud of The Unbreakable Code, (I’m whispering now so I won’t hurt my first book’s feelings, but I might even like it more than Book Scavenger). For my last countdown post, here’s a look back at some of the readers I’ve been privileged to meet. Thank you for inspiring me. 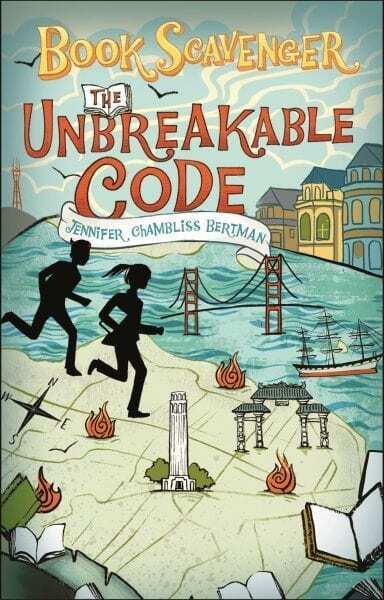 I hope you enjoy reading The Unbreakable Code, and here’s to sharing more stories and meeting more readers over the years to come.